Few decades ago the people at the counter of grocery stores had to manually enter every product that has been sold and it was lengthy procedure. Now it all works with just a beep of a scanner. The scanner scans the object and feeds in the computer automatically with just a beep. Toshiba Tec came up with a better idea and introduced another scanner machine which not only recognizes the barcode but it also tells you about the merchandise and whether it is fresh or not. There is probably a camera attached to it as well. A simple algorithm allows you to know the details of the product as well. This gadget is known as object recognition scanner which is a laser scanner and it is extremely handy as well. 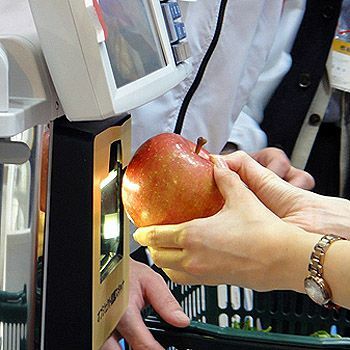 It is specially designed for fruits and vegetable because they don’t have barcodes on them. This will be of great help to part time employees who may not know about the details of the product or its freshness. The scanner is designed in a way that will not cause any delays in the process while people wait at the counter. The scanner will operate at high speeds and it will recognize objects and also their merchandise. The whole idea behind this gadget is amazing. The efficiency level of the product is good and it is really convenient and it saves time. Why Not Use This Sense of Humor in an Artistic Work? Are women shallower than men?